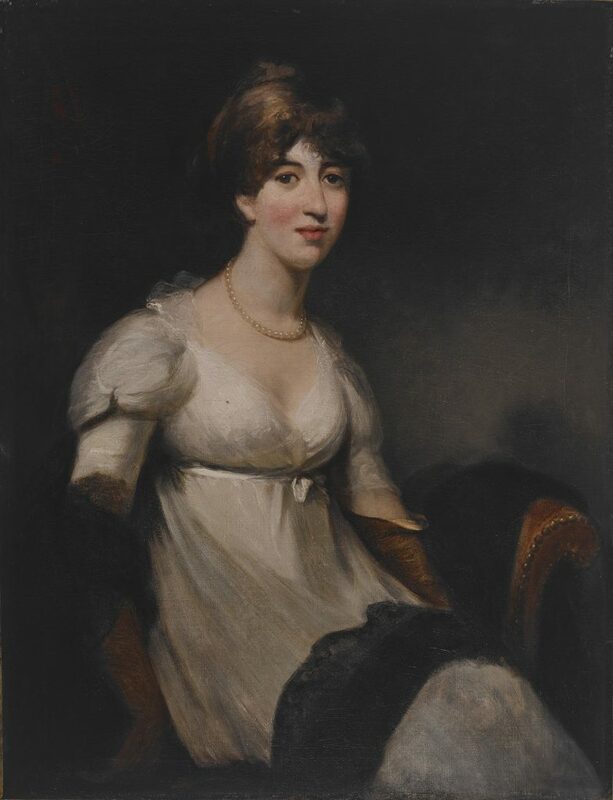 John Hoppner, Portrait of Isabella Ricketts, later Mrs. Stanlake Henry Batson (1782-1845), ca. 1800-01, oil on canvas, 39 1/2 x 30 in. 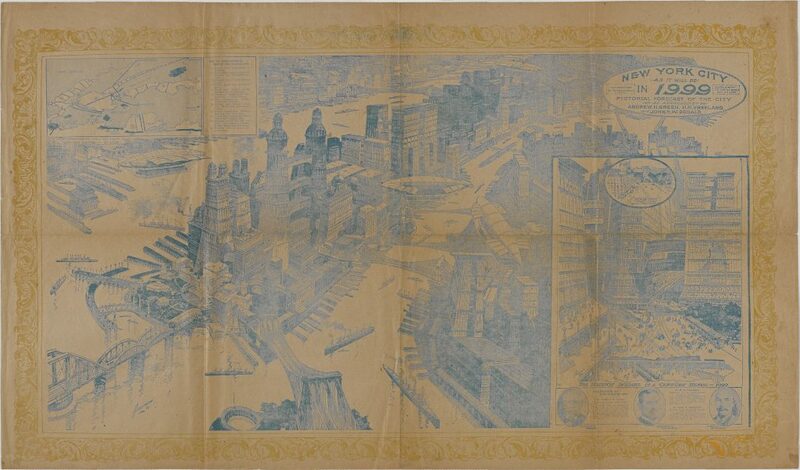 (100.2 x 76.2 cm), Art Properties, Avery Architectural & Fine Arts Library, Columbia University, Gift of Loyd H. Langston (C00.762). Now on view in Avery Library is the exhibition Hoppner, Beechey, Fisher, Lavery: Researching Columbia’s Portraits, curated by Roberto C. Ferrari, Curator of Art Properties, with Mateusz Mayer, Ph.D. student, Department of Art History & Archaeology. This focused exhibition showcases four rarely-seen historical British portraits from the University art collection, painted by these artists between the years 1800 and 1927. The show highlights new discoveries made about each painting, ranging from biography to provenance to political propaganda, but also proposes to question what “British” means both historically and in the age of Brexit. The Columbia University art collection, stewarded by Art Properties and based in Avery Architectural & Fine Arts Library, includes nearly 1,000 portrait paintings, as well as hundreds of portrait busts, photographs, and prints. This exhibition encourages students, faculty, and researchers to reconsider the world of portraiture and to encourage the use of the entire University art collection for curricular and educational programs, where new discoveries can be made every day. This entry was posted in Uncategorized on February 20, 2019 by Teresa Harris. 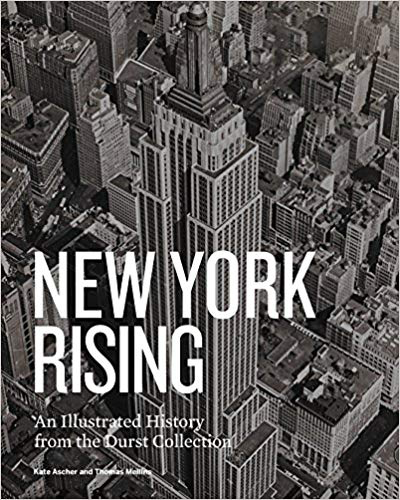 From the first European settlement in the seventeenth century through the skyscrapers and large-scale urban planning schemes of the late twentieth century, this book presents a broad historical survey, illustrated with images drawn largely from the rich archival resources of the Durst Collection at Avery Library. Authors Kate Ascher and Thomas Mellins with ten contributing scholars — the late Hilary Ballon, Ann Buttenwieser, Andrew Dolkart, David King, Reinhold Martin, Richard Plunz, Lynne B. Sagalyn, Hilary Sample, Russell Shorto, and Carol Willis — delved into the collection assisted by Chris Sala (Avery Architecture Librarian and Durst Collection curator) to select objects that reflect their own areas of interest and expertise. This entry was posted in Avery in Print, Avery in the News, Seymour B. Durst Old York Library, Uncategorized on January 17, 2019 by Teresa Harris. In April 2019, the Metropolitan Transportation Authority will shut down the Canarsie Tunnel, a vital underground link that carries L-train riders between Manhattan and Brooklyn, for much-needed repairs. As New Yorkers know all too well, the problems plaguing the city’s transportation infrastructure extend far beyond a single subway line. Express bus lanes, Citi bikes, pedestrian plazas, the constant debate around congestion pricing for cars – all these are attempts made by the city to deal with an aging and increasingly inadequate transportation system. But the challenge of moving people in to, out of and around the city isn’t a new one. The objects in this exhibit seek to illustrate various transportation solutions – from the never realized to the barely still working – throughout New York’s history. This entry was posted in Avery Classics Collection, Exhibitions on November 14, 2018 by Teresa Harris.